Telerik OpenAccess ORM Express - This is a 100% free version of Telerik's new OpenAccess ORM product. This is not a trial. The only limit of OA Express is that it only works with free databases (like MS SqlServer Express, Oracle Express, MySql, and Firebird). Other than that, all features are enabled and 100% free to use in any of your projects. Sitefinity Community Edition - This is a 100% free version of Telerik's full-featured CMS/web development platform. This is also not a trial and it is not just for personal/non-commercial sites. You can use Sitefinity CE for any web project! And the only things you lose with CE (vs. Standard Edition) are version control, workflow, multi-lingual site support, and permissions management (plus a "Powered By Sitefinity" logo is rendered on your site). RadEditor Lite for MOSS- Through a partnership with Microsoft, Telerik offers a 100% free "lite" version of the RadEditor for ASP.NET for anyone to use with SharePoint. If you are doing SharePoint development and you want a more full-featured editor that actually works cross-browser, what are you waiting for? Download RadEditor Lite for free today! RadFormDecorator for ASP.NET AJAX- Just released today, the RadFormDecorator from the RadControls for ASP.NET AJAX is now 100% free. If you're not using the RadControls and you want a fast, free way to style all of your form elements, you can now use Telerik's RadFormDecorator. Plus, we're including 14 skins with the free control and free trials of all the other RadControls for ASP.NET AJAX! You can learn more about each of these free products (and any products we make free in the future) by visiting our new "Free Products" page. There you'll also find direct links to download these bits that you can start using them right away. 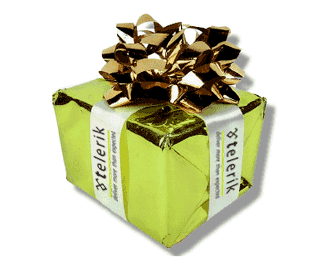 Now, of course, the free products do not come with dedicated support from Telerik, but you do have access to all of Telerik's help resources, like the (very) active forums, the product documentation, and the online demos. We hope you enjoy the early holiday gifts! Share the news with your friends and stay tuned for even more free stuff in 2009.